Srinagar: Turkish President Recep Tayyip Erdogan and US President Donald Trump agreed in a phone call on Thursday to carry out the US military withdrawal from Syria in line with their mutual interests, a media report said. 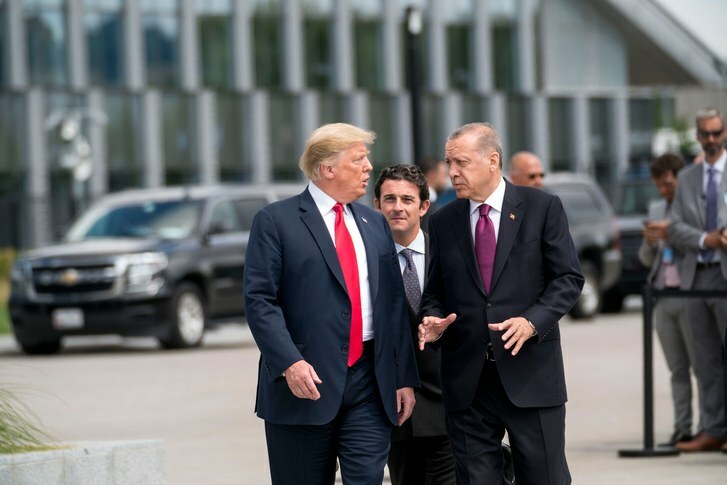 Erdogan and Trump also discussed the latest developments in Syria and agreed to support a political resolution to the conflict adding that the two leaders also agreed to improve economic ties between Ankara and Washington, TRT World reported. During the phone call, Erdogan stressed upon the importance of a political resolution for the war-torn country. The two leaders agreed on a joint commitment to fight all forms of “terrorism” in Syria. Erdogan and Trump also agreed to further develop bilateral economic ties and reach $75 billion in trade between the two countries. On Friday, Turkish Defence Minister Hulusi Akar and Chief of General Staff Yasar Guler will be in Washington to discuss details of the withdrawal and other regional issues. They will meet with Acting US Defense Secretary Patrick Shanahan and Marine General Joseph Dunford, chairman of the Joint Chiefs of Staff.